Porta Palazzo market in Turin is the largest open-air market in Europe! 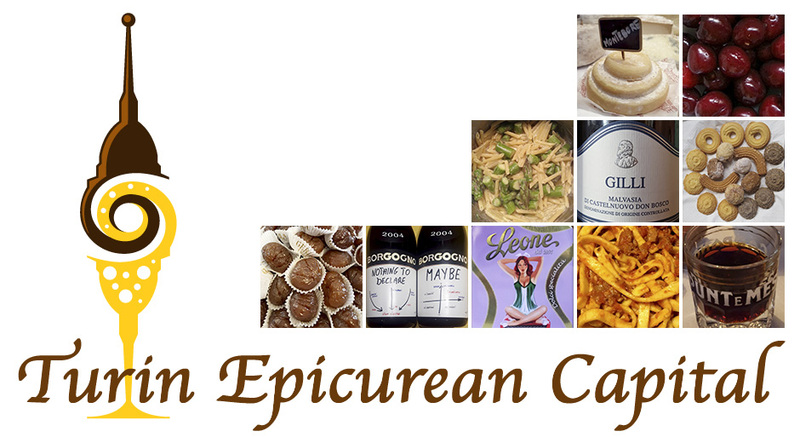 Giuseppe Culicchia, who was our guest at Turin Epicurean Capital 2014 as a representative Turin author, wrote in his book Torino e' casa mia or Turin is my home, that the Porta Palazzo market is actually Turin's kitchen. 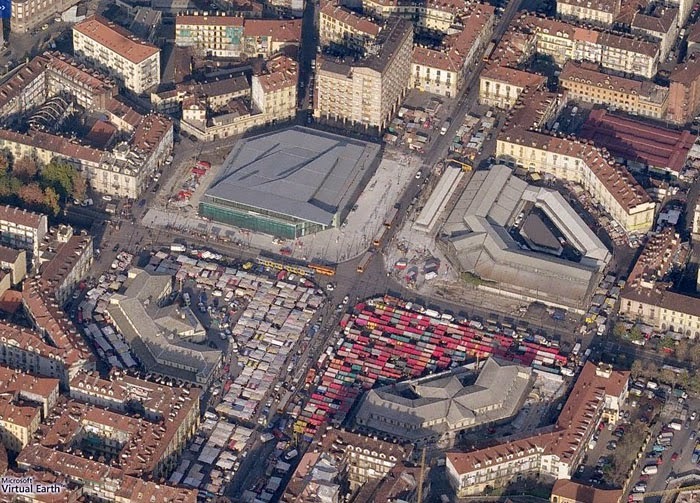 Like many cities in the world, Turin is divided into neighborhoods, each one with its own daily market. Some markets are renowned for their boutique clothes, designer shoes or vintage stalls, others for their high prices. Porta Palazzo though is rather unique because since always it's been the place where the whole city of Turin meets. Up to very recent, the area surrounding the market was where the poor immigrant communities lived and not the best place to be at night. However, this has now changed as the view and need of taking advantage of such a market and its varied products has meant a gradual change in Turin too. Nowadays, the historical buildings leading to the market square and surrounding it are going through a renovation process part of a larger urban plan. Somebody calls it the Porta Palazzo revolution implying that a new class of Turinese professionals will buy or rent restored apartments in this area making it the new trendy part of Turin and pushing the poorer communities to move to the outskirts of the city. When the neighborhood residents change, inevitably the market and its products change too and we can already see some minor social modifications through some shops, such as the historical Gelateria Popolare and Casa Agape. This gelateria used to be the Porta Palazzo gelateria whose gelatos were made with the ingredients unsold at the market, now though, with the people's attention to the locally sourced products and their budget, Gelateria Popolare has become one of the attraction of this area of Turin, with many cultural events, and its proximity to the market is definitely a guarantee of the quality of its flavors! Following the Italian tradition, Porta Palazzo market is where the whole city grocery shops on a daily basis. The food part is the most colorful and interesting, but you can buy virtually anything you need. And for the expat community who craves a change of flavors, there are some Asian food shops in the nearby streets. Actually, different ethnic shops: from Chinese and Halal butchers, to import shops with exotic items such as Thai beer, wasabi covered peanuts, fish sauce and even produce, surround the market area. Moreover, certain ingredients are available only here because, in most of the cases, the sellers are internationals. Usually, when we visit Porta Palazzo market we come from the pedestrian Via Garibaldi which is basically an open-air shopping mall; then we turn into Via Milano and in five minutes we're in Piazza della Republlica where the show starts. As you can see from the picture above, the piazza is divided in quarters, the food sections occupy most of the market, including 3 covered parts. Meats and fish are sold in separate short buildings where they are sheltered. Under the colored stall tends there is the produce section, under the grey ones there are the clothes. In the upper section on the right there are the farmers in the courtyard and the butchers and delis in the covered part. Porta Palazzo market is the symbol of a city that constantly renews itself and whose inhabitants enjoy life and pay attention to the quality of the food the buy. 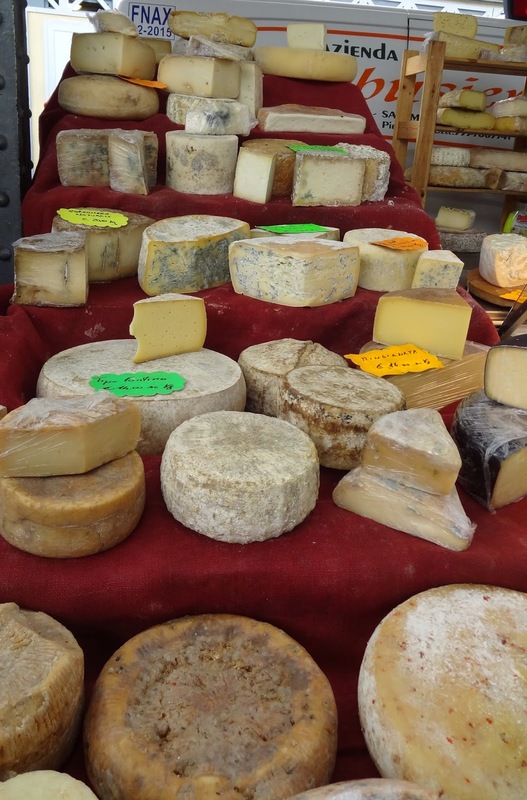 Artisans and farmers bring their products here every morning and on Saturdays, the market is open also in the afternoon! Even only to take pictures and look at the local population, this market is a view! In a country where seasons are still determining our menus, just imagine how this market changes every month. In the summer there are colorful fruits, in the fall orange pumpkins and mushrooms, in the winter cabbages and artichokes and in the spring asparagus and cherries! In short, Porta Palazzo market is a must see anytime of the year with its colors, the scent of the herbs and the people who make it alive, like the guy below who's a real celebrity!